SANA’A, Yemen – At least 113,000 Yemeni children have died since Saudi Arabia with support from the United States began its aggression on the Arab world’s poorest country in March 2015, according to AlterNet reporter Ben Norton. In a tweet made, he found that 50,000 Yemeni had shockingly died from hunger and disease in 2017, with another 63,000 dying in 2016. “Save the Children reported in November that more than 50,000 Yemeni children died from hunger and disease in 2017 alone. In addition to 63,000 Yemeni children who died in 2016. 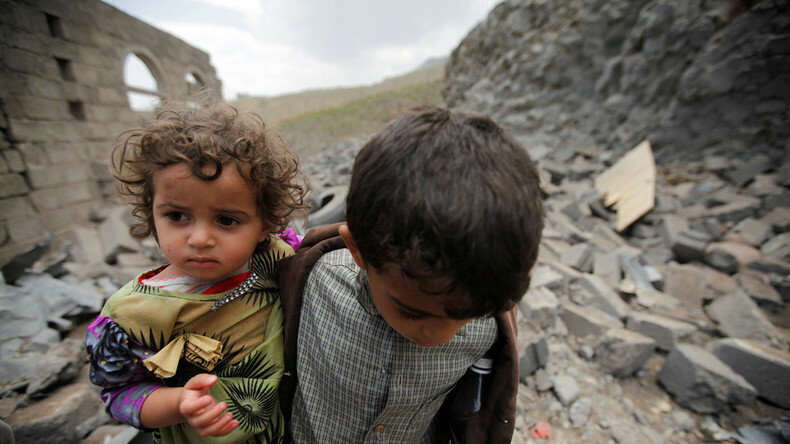 That’s at least 113,000 Yemeni children killed in 22 months of US-Saudi war,” he tweeted. Save the Children reported in November that more than 50,000 Yemeni children died from hunger and disease in 2017 alone. In addition to 63,000 Yemeni children who died in 2016. This is a shocking amount of children dying from preventable deaths. It comes as Saudi Arabia attempts to reinstate Hadi back to the presidency after he was outed. There has been little international condemnation against Saudi Arabia’s terror against the Yemeni people. Why Is Yemen Ignored When Syria Dominates The Headlines?